If you’ve got a set of wheels and an adventerous spirit, read on. Road Trips are always associated with a free spirited approach to life. Grab your bags, pop your mixtape in and set off on that open road. Hitting the highways and byways of the UK is a brilliant way to take in your surroundings and see some breathtaking sights. 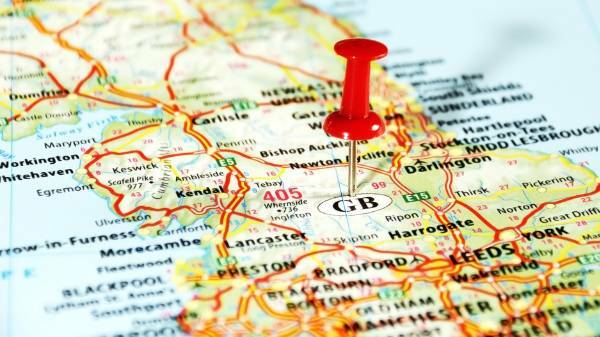 In this article we are going to be looking specifically at what the British Isles roadways have to offer and where to go to get the best out of our UK roads. Scotland is known for its outstanding abundance of breathtaking landscapes. Distinguished mountain ranges, glittering locks and wild woodland, the Scottish landscapes are made up of the most awe inspiring mix of rolling hills and deep glens. There is a particular route in Scotland that takes you straight through the ‘greatest hits’ of the highlands. 500 miles of a single track to be precise. Taking you to the coast of Inverness at the Black Isle and along the crags of the seaboard. 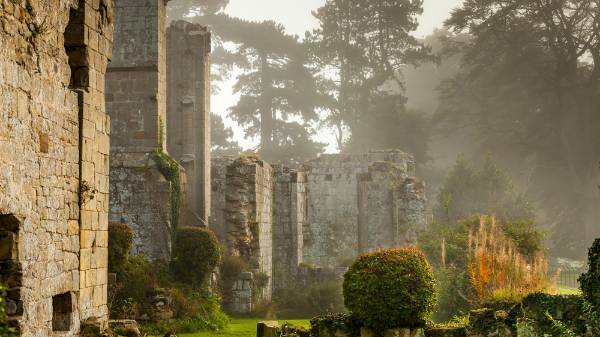 You’ll find an abundance of ancient ruins, rugged landscapes and shingle beaches. Work your way through the ragged villages of the East Coast and then down the wild coast of the west of Scotland. 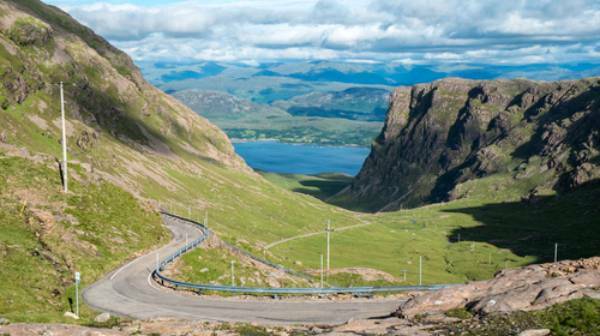 You’ll find yourself finishing your journey on the Bealach na Ba which loops through the Applecross Peninsula. Is this the one for you? If you’re looking for isolated wild landscape of awe-inspiring magnitude then this could be the one for you! How long does it take? The full journey takes 4-7 days depending on how long you want it to be. FYI: It’s important to consider accommodation and plan you trip and journey times accordingly. Yes, you’ve got the isolation and break from busy day-to-day but this also means that accommodation is few and far between. If you’re looking to see as few people as possible then take this journey outside of the summer months when other travellers will be scarce. If you love your history and you’re rolling landscapes then this could be the one for you! In Yorkshire you’ll be hard pushed to find a road trip that doesn’t take you across the Dales and Moors. The Yorkshire landscape is home to some of the most famous battles, namely the War of the Roses. So, what to expect? These are great roads to use and are mainly made up of A and B roads that loop and interlink between some of the most beautiful scenery, villages and waterfalls. Set off from Harrogate, the home of Yorkshire Tea and head out towards the historic Grassington. From there you can go to the famous Aysgarth falls and take in the breathtakingly beautiful multi-tiered waterfall. Next up, Hawes and the home of Wensleydale cheese. Head across the moors and follow in the tracks of the Tour De France across the famous Buttertubs Pass between Wensleydale to Swaledale via the beautifully dilapidated Jervaulx Abbey. End with a well earned pint of Black Sheep at the Brewery itself in the quaint market town of Masham. Who is this one for? Love cheese? Love Beer? Love a good view? This is for you! How long does it take? If you want to enjoy and take your time at each place (there's more than what's been mentioned above) we’d recommend at least 3 days. 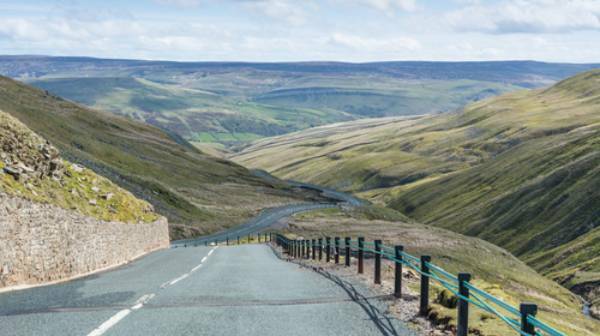 FYI: The Yorkshire Dales are really popular amongst bus tours and motorcyclists, so remember this when planning and parking and tackling the winding roads of the moors. Boasting 170 miles of wild beauty the South West of England offers picture perfect scenery to enjoy a blissful getaway. This route is all about the awe-inspiring BIG views. Find yourself meandering between open fields of barley and a numerous bays. 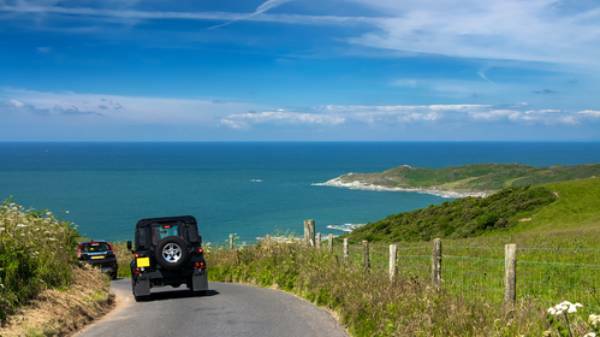 Travel from Bridgwater to Bude along the A39, a winding road following the meandering coasts of Devon and Cornwall. Discover and enjoy the windswept dunes that stand between you and the ocean. This is a really popular haunt for tousled haired surfers, so be prepared to be immersed in a chilled out lifestyle brimming with laid back ambience. Not feeling the ocean vibes? Why not stop off at the Exmoor National Park for a hike across the beautiful landscapes and moors? Next, drive south from Barnstaple where you’ll find a sea-side town to suit you. Fancy a Surf? Head to Bude. Or if you fancy enjoying some of the fresh seafood this area has to offer than make sure to stop off in Padstow. And, if you just fancy a really fun night out on the town with a beautiful backdrop, why not try Newquay. Finish your journey in the aptly named Land’s End. Lands End was once considered to be the end of the world. In this instance though, it signals the end of your road trip! Who is this one for? If you fancy getting intouch with your inner hippie, whether this be diving through the waves on your surfboard or enjoying the seaside beauty of Exmoor. You’ll find yourself at one with nature on this trip. How long does it take? This will take you a relaxing 4-5 days in total. FYI: Though it may be called the Atlantic Highway much of this trip actually takers you through inland Cornwall. But don’t let this put you off. It’s still just as stunning! If you enjoy natural beauty and jaw-dropping sites then this trip from Belfast to Londonderry might just be the one for you. Just over 120 miles to explore and get totally engrossed in. You’re first stop will be Gobbins Cliff Path. 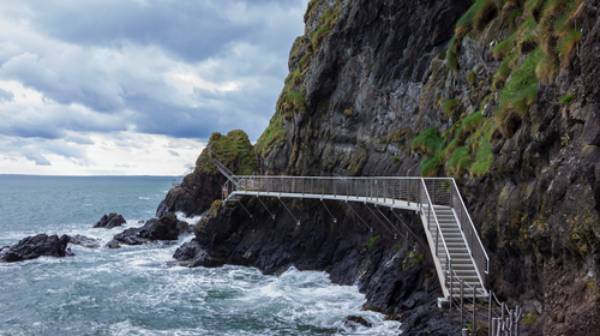 The Gobbins is a cliff-face path at Islandmagee, this is a really unique walk which is a unique to Ireland. Two miles long with an array of suspended walkways. Off to a good start, right? You’ll be happy to know that the entirety of your journey will be filled with both modern and ancient wonders. 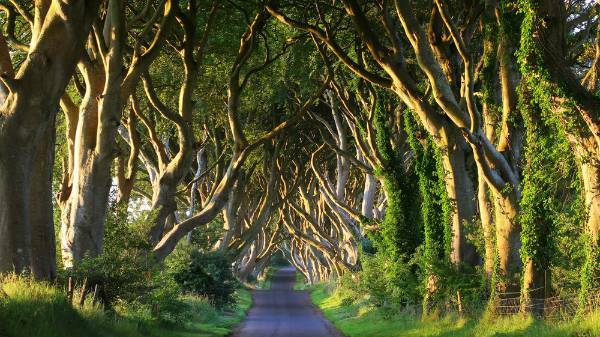 Detours from your path are far from sparse, why not stop at Antrim and see the Dark Hedges for example? A hypnotic arrangement of road side beech trees, definitely worth the detour. Next up, prepare to have your breath taken away on the Giant’s Causeway and stop off to enjoy a whiskey at the Bushmills Distillery. Who is this one for? If you get spine tingles from beautiful scenery and vast landscapes, this one is for you. How long does it take? This is a journey with so many distractions an awe-inspiring detours. It could last however long you want it to but we recommend giving yourself 3-5 days to complete it. FYI: If you love nature, specifically birds, this route is for you. Halfway along the route you’ll find an RSPB reserve. So, for the next one we are heading back to Scotland. There’s A LOT of beautiful roadway’s here. This time we are talking 46 miles of scenic, eye-catching roads. The journey goes from Fort William to Mallaig and is packed full of some of the weirdest, darkest and most gripping tales from days gone by. 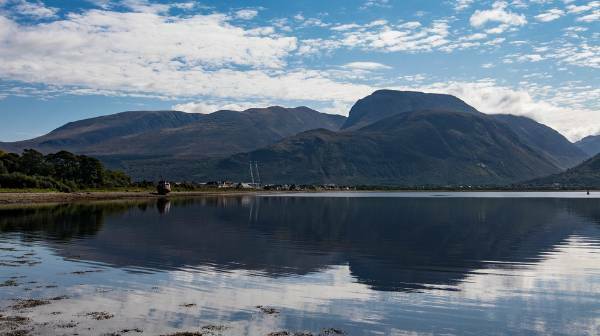 First off, at Fort William you’ll find the Caledonian Canal. This connects the Scottish east coast at Inverness to the west coast at Corpach. This was first built for commerce and meanders past the Glenfinnan Monument. This monument honours the fallen Jacobean rebels and sits amidst the most beautiful backdrop scenery. Continue on and find yourself following the tracks of the West Highland Line. 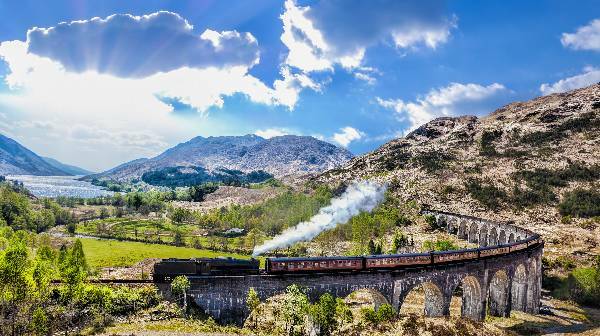 This is considered the most most scenic railway routes, so take it in your own time. Meander on to the A830 to the Glenfinnan Viaduct then onto the Camusdarach Beach at Arisaig. 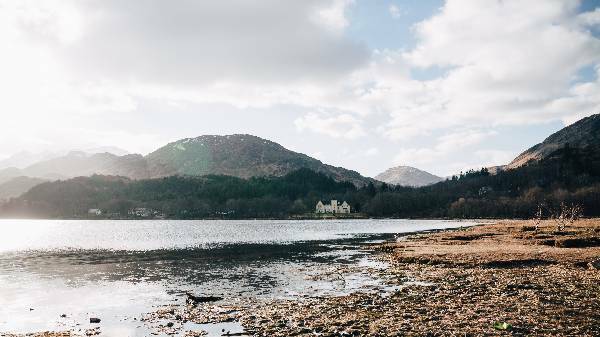 End the journey on the shore of the spectacular Loch Morar, the deepest freshwater lake in the UK. Whilst here, make sure to keep an eye out for Nessie’s cousin, Morag! Who is this one for? If you love history, mystery and jaw dropping backdrops to each and every tale then this one is for you. How long does it take? Again, it all depends on how long you want to stop, explore and hunt for Lock Monsters but we’d recommend giving it 2-3 days. Need to know: A lot of Harry Potter was filmed here and all the stars (including J K Rowling herself) stayed in the luxury Inverlochy Castle which you’ll find on your route. So, why not stop here and pretend to be part of the cast? If you’re looking for something short and sweet then this is the one for you. But, as they say, the best things come in the smallest packages and this is packed full of some of the best scenery. From the Brecon Beacons to the Tywi Valley, you can enjoy some pretty serious motoring along the hairpin bends and breathtaking scenery. 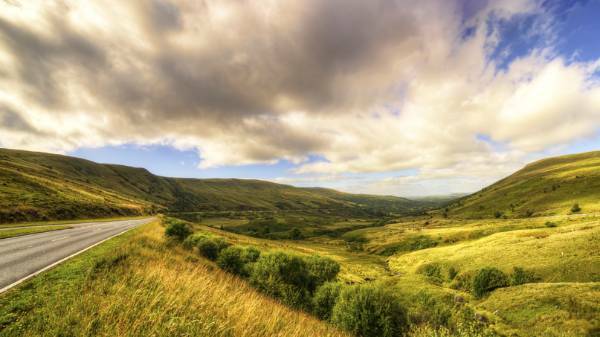 Travelling between Llandovery in the North, you’ll find yourself taking on the famous dragon’s humps of Pont Aber and on to the astonishing view points of Herberts Pass. Wind your way down into the village of Gwaun-Cae-Gurwen, and find yourself surrounded by rugged farmland. Who is this one for? This is for those of you that enjoy the open roads and take on the motoring adventures. How long? The longer you spend exploring the Brecon Beacons the better, but we’d say allow yourself at least one full day. FYI: This bit of road is often used by Top Gear for test driving vehicles! Record your journey and become the next Jeremy Clarkson. So, there you have it. 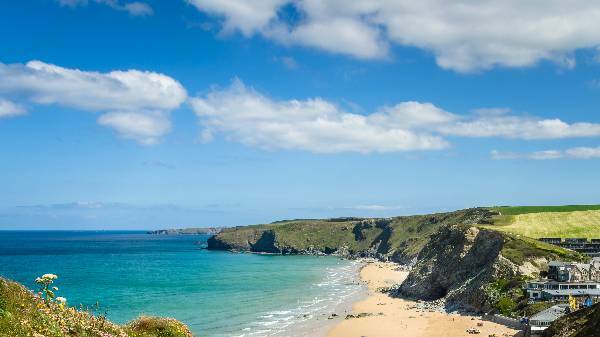 The top 6 most beautiful destinations to enjoy across the British Isles! What are you waiting for?! What better companion to take you on your travels than a Romahome? Here at Howards, we offer a premium motorhome solution. Take a look for yourself here.